Anyone can tell you if a trailer "looks good" or not. But Drew Magary, who spent over a decade working in advertising, is here to tell you whether or not a trailer WORKS. This week's trailer? "ParaNorman". When my kid was three, I took her to see "Coraline" in a theater. She was terrified and probably scarred for life from the experience. I, on the other hand, had a marvelous time. The story was great. The characters were great. The visuals were amazing. And few movies before or since have utilized 3D as well as "Coraline" did. 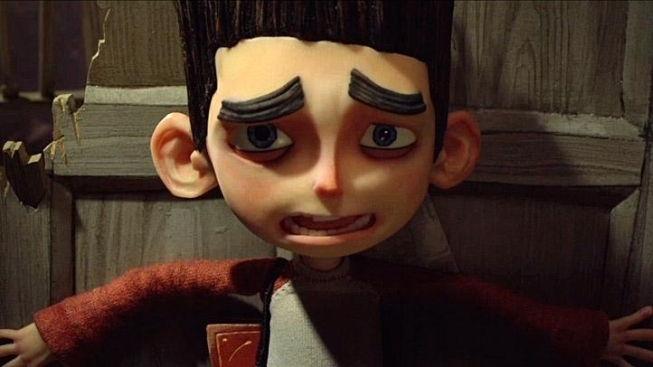 So you can understand my excitement over the prospect of watching the trailer for "ParaNorman," a stop-motion animated creepfest that bills itself as "from the makers of 'Coraline'," even though this one lacks the directorial stylings of Henry Selick. Can this movie live up to the same standards? Let's watch it an answer a few questions. Does this trailer let us know what the movie's about? Yep. Norman is a preteen outcast who wakes up using a tombstone alarm clock and brushes his teeth with a skull brush. His parents think he's weird. His sister hates him. He gets bullied at school. He's a classic goth nerd. However, he CAN talk to dead people. Just like Haley Joel Osment, only in much cuter way. Turns out that Norman's ability to chat with the dead is what winds up getting him enlisted in a battle against an evil witch's ghost and her zombie army. Scares will be had. Lessons will be learned. Bonds will be forged. Typical child adventure fare. Holy smokes, is that the voice of Tempestt Bledsoe? It is! Wonder where she's been all these years? Wonder no more. The most difficult Huxtable is back in the game, y'all! Other voices include Jeff Garlin, Anna Kendrick, John Goodman, and Casey Affleck. It's pretty clear that they were looking for the RIGHT voices for this movie, as opposed to star voices, and that always ends up working well for an animated movie. Does Norman have a chubby friend? You know he does. He's one part fat kid from "Up," one part fat kid from "Monster House." Will my children be traumatized by a ghost popping out of a toilet? Probably. I know I wouldn't want to have that happen while I was doing my business. What kind of scary monsters does this movie feature? Ghosts, zombies, witches, severed ghoul heads, skeletons, cloud skulls, and plenty more. Like "Coraline," this movie clearly has a sinister edge to it that makes it a wee bit more grown-up than other animated fare. Are there big action set pieces? There are! Including a big ghost car chase. IT'S A GHOST CAR! Does this trailer work? Yes. Due right around August, when the summer movies clear out and people start looking for scary fall movies, the movie aims to deliver on its visuals (which look great), if not its story (which seems fairly boilerplate). This is probably a more mainstream movie than "Coraline," with enough ghouls to keep it weird, but not the same kind of disturbing endgame.